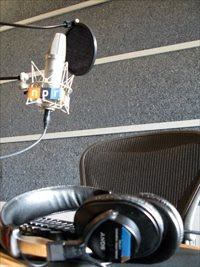 Today marks the end of the NPR radio program News and Notes. The show was originally developed for and hosted by Tavis Smiley about 7 years ago. A few months later the show was hosted by Ed Gordon. At the time, News and Notes was the only daily national African American radio news magazine show of its kind. The hosting reigns have been placed in the capable hands of Tony Cox since January. Former host Farai Chideya left the host chair when NPR decided not to send News and Notes staff to Washington from the show's Los Angeles base to cover the inauguration of President Barack Obama. NPR still carries the radio program "Tell Me More" with Michel Martin, the former ABC Nightline reporter. NPR's Programming Head Vivian Schiller speaks on the issue of diversity at NPR on the blog site JasmyneCannick.com. Schiller is asked about criticism from former hosts Tavis Smiley and Ed Gordon regarding NPR's lack of support of the program. As I recall, Tavis quit the show within the first year because he felt NPR did little to promote the show to the African American audience.